In the final 10 lessons, you’ll be speaking and understanding at an intermediate level. In this level, more directions are given in the Mandarin Chinese language, which moves your learning to a whole new plane. Lessons include shopping, visiting friends, going to a restaurant, plans for the evening, car trips, and talking about family. You’ll be able to speak comfortably about things that happened in the past and make plans for the future. One hour of recorded Cultural Notes are included at the end of Lesson 30. 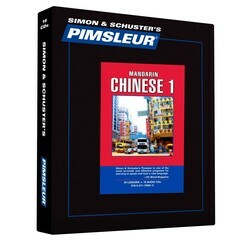 These notes are designed to provide you with some insight into Mandarin Chinese culture. A Notes booklet is also included.